Authorities are investigating the mysterious deaths of two people in Massachusetts. Autopsies conducted Wednesday provided few new details about the death of a blind, disabled man and his longtime caregiver in two different Massachusetts towns earlier this week. 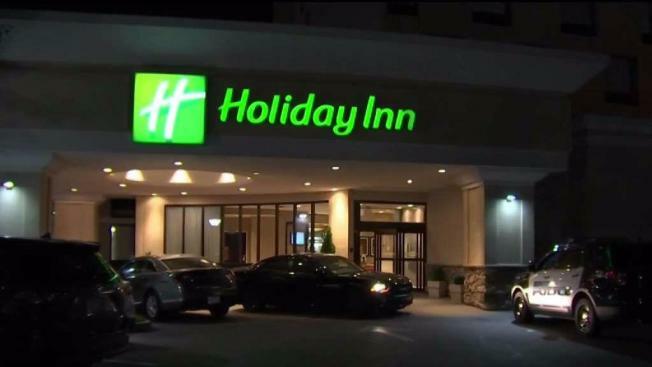 Forty-one-year-old Jeffrey Goldstein, who was blind and used a wheelchair, was found dead in a room at the Holiday Inn in Dedham Monday night. There were no obvious signs of trauma. A van belonging to the group home where he lived was in the parking lot. Later, the body of Goldstein's caregiver, 74-year-old Mary MacKinnon, was found in a room at the Holiday Inn Express in nearby Norwood. MacKinnon had apparently checked Goldstein out of his Dedham group home on Monday, but neither ever came back. The Norfolk District Attorney's Office said Wednesday that an autopsy conducted by the chief medical examiner's office determined that MacKinnon died of suicide, and asphyxia was her apparent cause of death. The autopsy of Goldstein found no signs of trauma and the cause and manner of his death remain undetermined pending toxicology testing. Goldstein's father said Tuesday that MacKinnon was a "terrific" caregiver who had known Jeffrey since he was a child. "This makes no sense," Alan Goldstein said. "Beyond our ability to comprehend." "There were no known issues between the staff person and the individual," Mikey Hyland, CEO of Venture Community Services, which runs the group home, said in a statement. "Both had left the program to attend a medical appointment ... All employees of our agency undergo background checks.